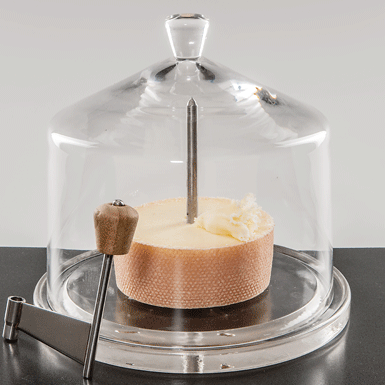 Webshop-Glasi Small glass dome for cheese slicer "Tête de Moine"
SHOP > Kitchen and table > Small glass dome for cheese slicer "Tête de Moine"
Small glass dome for cheese slicer "Tête de Moine"
You can order the cheese slicer “Tête de Moine” (art. 683) and the matching glass dome. It is also available together with a beautiful plate (art. 684).